“For ye may all prophesy one by one, that all may learn, and all may be comforted” -1Cor. 14:31. The Holy Spirit builds up, stirs up the and cheers up the Church. He is a Spirit and so He needs a mouth to speak building up, stirring up and cheering up words to the people. The Church which is made up of you and I is the temple or physical body of the Holy Spirit (1Cor.6:19) but how often we deny Him the use of our mouth for His ministry of prophecy. Because we all have the Holy Spirit the Bible says we all can prophesy “For you can all prophesy one by one, that all may learn and all may be encouraged” (1Cor.14:31). Prophecy is simple; it is speaking forth or writing down words by divine inspiration that builds up, stirs up and cheers up the hearer(s). This is why the Bible says that every believer may prophesy and that includes YOU. 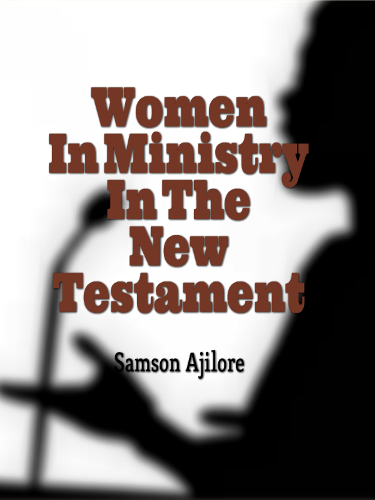 So a New Testament prophetic person is anyone who primarily speaks unto others; edification which means building up, exhortation which means stirring up and comfort which means cheering up (See 1Cor.14:3). Now these words could either be spoken, written or sung. You can make it a practice to pray and have God fill your mind and heart with words of grace and encouragement that will bless someone around you. You may give such words directly o people or them through letters, phone conversation, text messages, emails, Facebook and so on. Someone needs a word from God through you today. These words will come to your heart in form of thoughts but you need to have faith enough to speak or write them down. Learn to trust your thoughts and doubt your doubts! Just because no one hits the ‘like button’ on your Facebook wall or comment over your posts doesn’t mean no body reads them or nobody gets blessed by them, if you keep on doing it you will soon begin to get amazing responses. 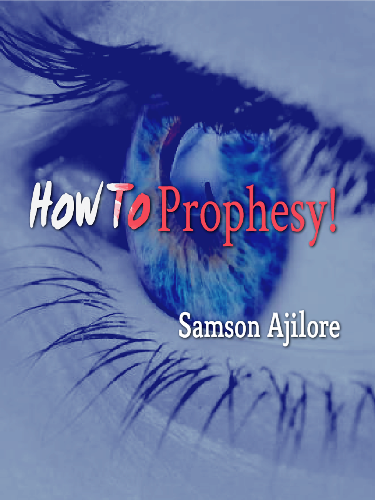 Keep on prophesying! It’s one way to spread God’s love! The Bible establishes that you can prophesy for as much as you have faith to prophesy (see Rom.12:6). Some can give short words while others can give long words. However, either short or long ensure that it blesses the hearers. Do not be afraid of making mistakes because without mistakes there is no mastery. A little child who never takes the first step to walk for the fear that he might fall may never use his leg in life. Fear cripples our potentials. Fear builds up in us when our faith in God’s love wanes. “There is no fear in love; but perfect love casts out fear, because fear involves torment. But he who fears has not been made perfect in love” (1John 4:18). God is Love and Love is the ultimate (1John 4:8, 16). If you love people and desire to encourage them through words from God you should not be afraid of making mistakes. Mistakes are part of the learning process because they are the ladders to perfection. Your prophetic word doesn’t have to be spectacular because I’ve even witnessed words as simple as “God loves you” touch peoples heart and drive them to tears…What are you waiting for, start practicing prophesying by faith and love. If you will have faith to prophesy you must learn to always abide in love because our faith only works by love (Gal. 5:6). So it becomes difficult to walk by genuine faith if we fail to walk in genuine love. Walking in love is loving people in words and deeds. In this walk, we do not harbor resentments or keep hurts in our hearts but we forgive always because love covers a multitude of sins (1Pet. 4:8). If we allow hurts to build in our hearts, it will taint our prophetic spirit and start polluting our prophetic vision and utterances. People who prophesy from hurts and wounds which they have not allowed to be healed usually prophecies destruction rather than construction and cursing rather than blessings. Such do much damage to others instead of speaking the truth in love to build up the hearers in Christ. Hurt people hurt people as the old saying goes but we can forgive and let go of all wounds and inner hurts so that we can become healed people that heals people. We should let go of hurts so that our emotions doesn’t taint God’s truth before the people. Moses did not let go of his hurts and instead of speaking to the rock to bring forth water as God instructed him, he hit the rock twice in anger and portrayed God as angry when He was not (Num. 20: 7-13). Needless to say, the consequence of that action was terrible. God’s prophetic people must not just be bearers of His gifts and words but also bearers of His character of love, joy, peace, self control and so on (See Gal. 5:22-23). Prophetic words that make people afraid and confused are usually from tainted (polluted) prophetic spirits because God isn’t the author of fear and confusion (2Tim.1:7; 1Cor.14:33). A prophetic word that comes from God will definitely agree with His nature of love and brings peace, comfort and edification to the hearer. Even if it is correction, it must be done in love and concern so that it doesn’t bring damage but repentance and improvement. Love is a universal language, keep speaking it!